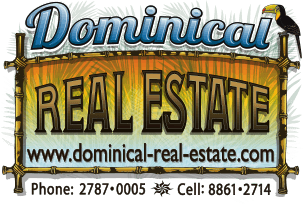 1.2 ACRES - Incredible Beachfront Property With Concession Priced To Sell!!! There are just a handful of places left in the world where you can have the privacy, serenity, and magical opportunity to create a space directly in front of the ocean with nothing separating you and the beauty of mother nature in perpetuity. This 5,000 meter (more than 1.2 acres) of fully concessioned land in the community of Matapalo is not only a special place in the world, but is also being offered at an INCREDIBLE value. The property has just completed a full concession process and is turn key ready for a new owner to be able to develop with a maximum footprint of up to 70% of the land area, two stories of construction permitted, up to 10 rooms on the 5,000 meter property and a mixed use which would allow for a small hotel or tourism project or for a private residential estate home or villas as well. The property is at the southernmost point of the public road surrounded by reserve areas which insure the long term privacy and serenity of the setting. Playa Matapalo is a unique location which is home to one of the largest and most scenic beaches on the Central Pacific Coast, strategically located between the communities of Quepos and Dominical. The location allows for immediate access to the services, amenities and community of Matapalo, an idyllic and sleepy beach down, but also very quick and easy access to the larger touristic bases of Manuel Antonio, the new Marina Pez Vela and the gateway to the southern zone of Dominical. Whether you are dreaming of a beachfront bed and breakfast, small villa project or a mixed use place to enjoy the pura vida lifestyle, this is a 100% new and clean concession, turn key ready at a price you won't find anywhere else in Costa Rica.